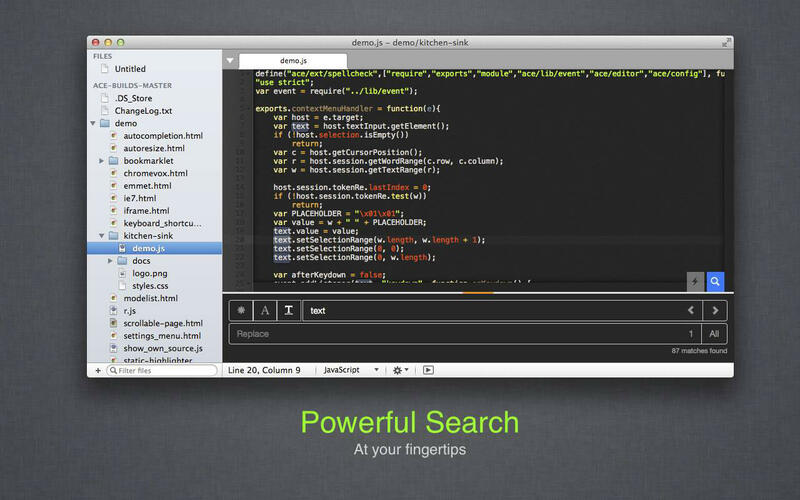 The freshest, eco-friendly Code Editor for your Mac. 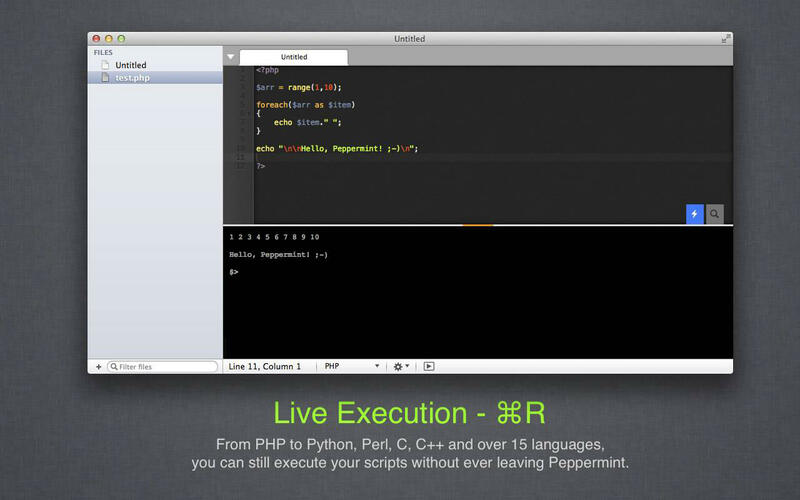 Many updates/features/extensions on the way! 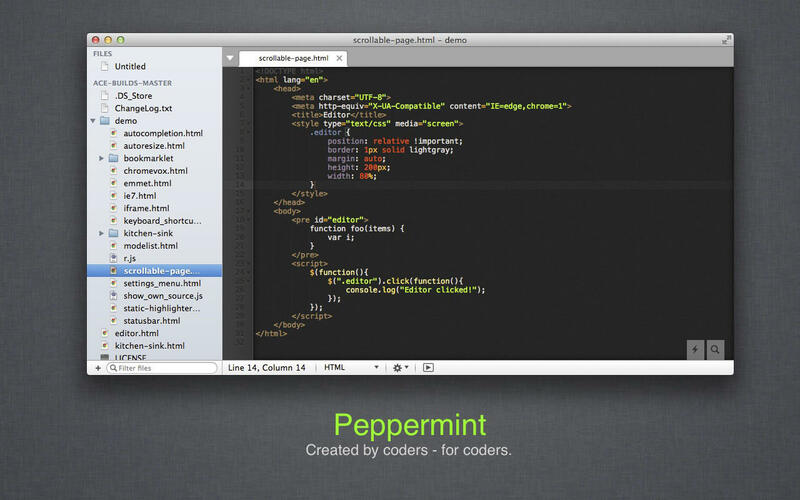 Let us know about your ideas and thoughts (info@osxpeppermint.com) and let's create the most beautiful code editor for Mac. Together.